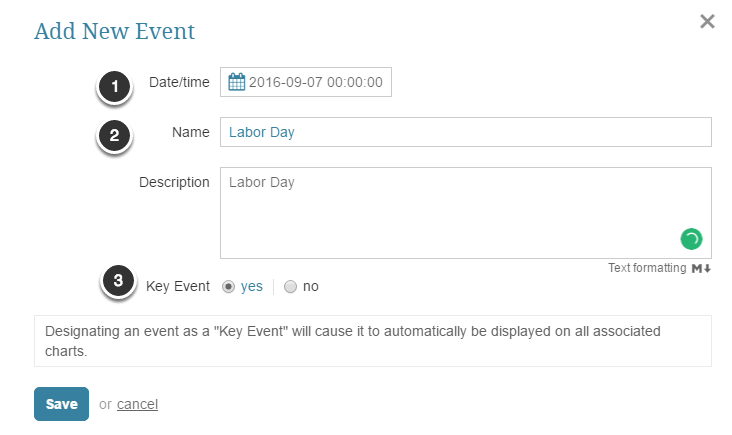 Individual Events must be added to an Event Calendar in order for them to appear in a Metric or Multi-Metric Chart. When an Event is added to an Event Calendar, an occurrence related to the calendar appears on charts of associated elements. For example, when tracking System Outages, you add an Event each time the application system becomes inaccessible. This provides insights to associated Metrics when plotted on the Chart's viewer. Select an Event Calendar from the list. 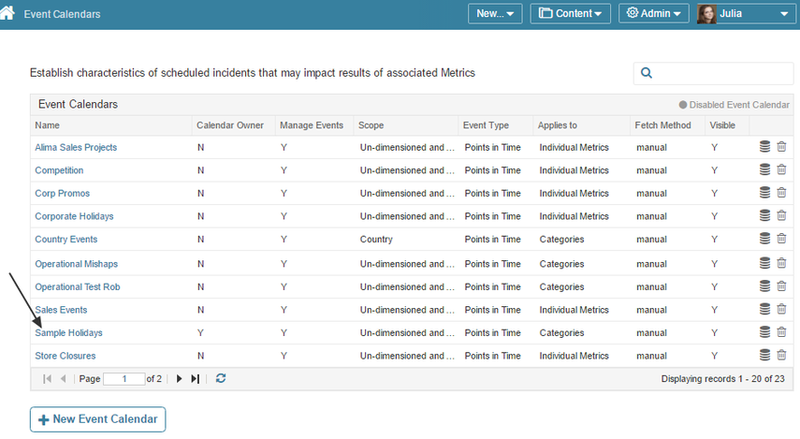 Once you Save the Event, it is added to the Events table and is displayed on the Charts of Metrics associated with this Event Calendar. 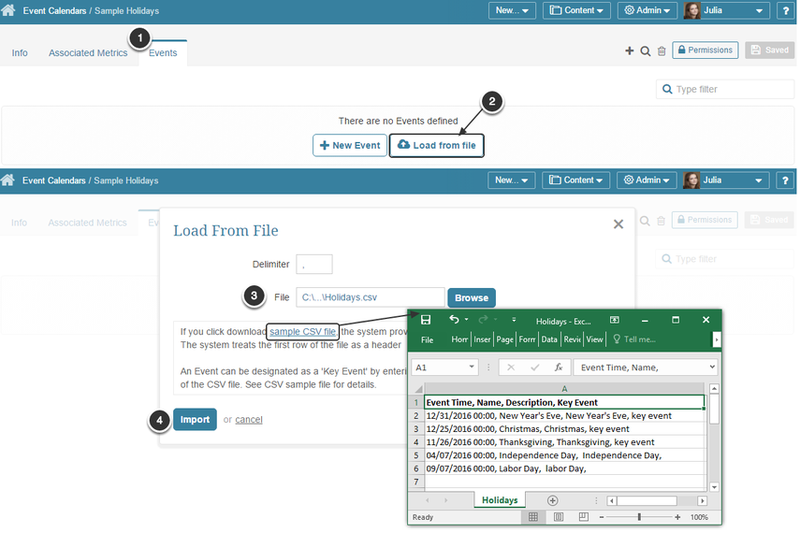 NOTE: If you want to enter Events into a CSV file and you are unsure about its format, click sample CSV file link to obtain a file into which you can enter data after saving it.